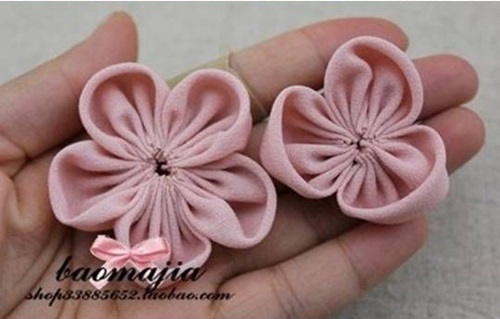 There are many creative and easy ways to make fabric flowers. 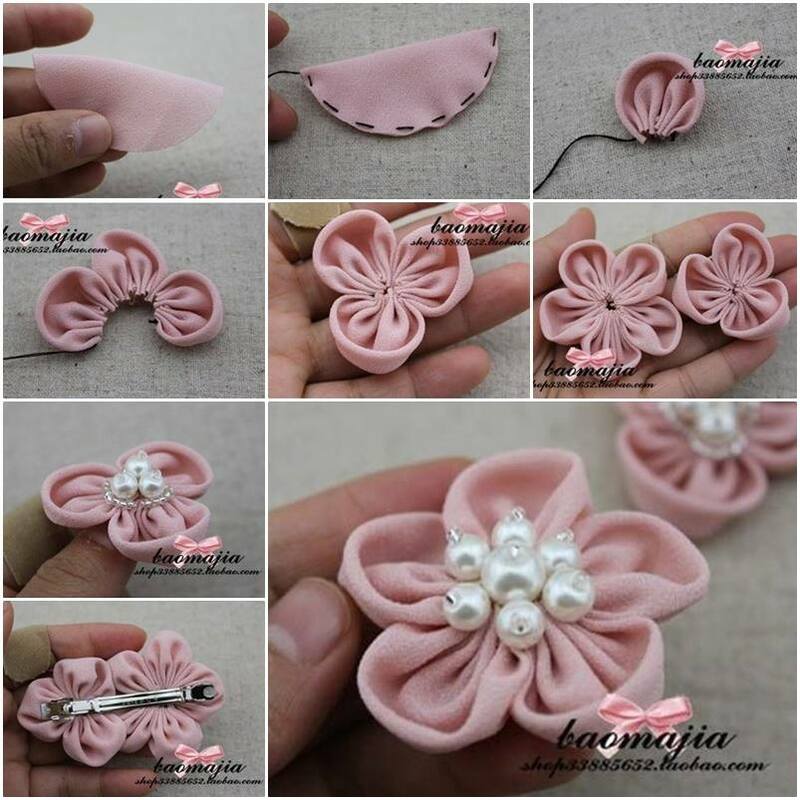 Here is a nice DIY project to make a beautiful fabric flower hair clip. 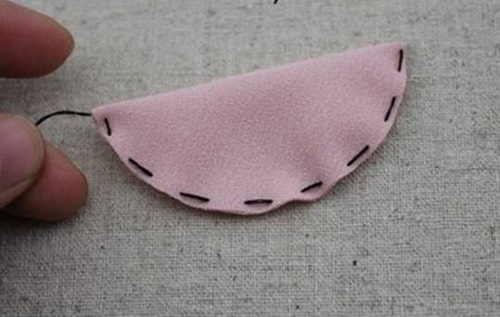 It’s very easy to make and requires just a little bit of sewing. You can use different colors, patterns and texture of fabric to make these beautiful flowers. 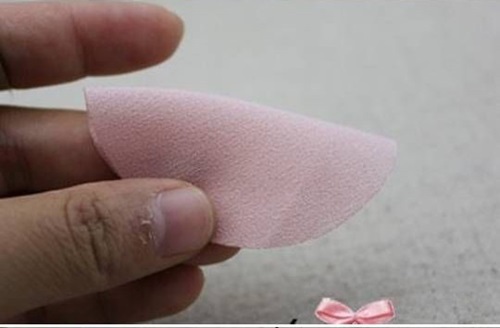 In addition to being used for hair accessories, they can be used to make brooches, necklace pendant, ornaments on bags, clothes, cushions, belts, shoes, hats and so on. Let’s get crafting! 1. Take a circle of fabric and fold it in half. 2. Sew along the edge of the half circle and keep the thread loose. 3. 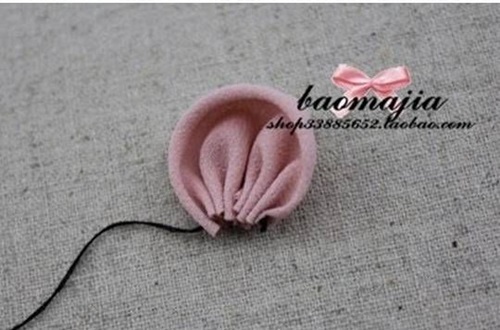 Gently pull the thread outward to form the petal of the flower. 4. Continue to make more petals in the same way. 5. For a three-petal flower, just sew to connect the three petals together. 6. Sew to connect five petals to make a five-petal flower. 7. 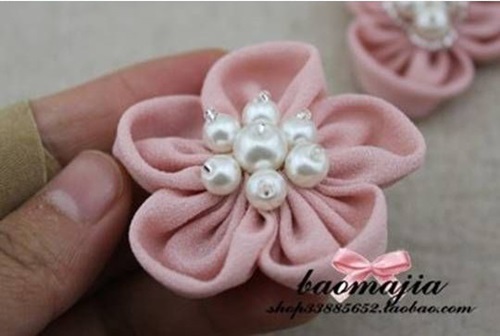 Glue pearl beads (three large beads surrounded by small beads) to the center of the three-petal flower. 8. 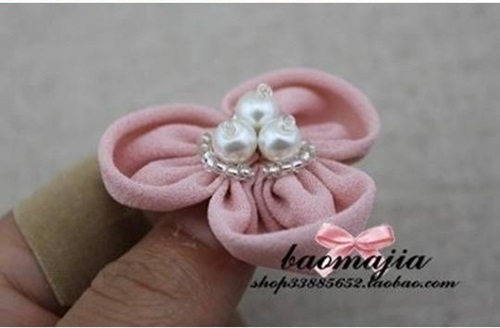 Glue pearl beads (one large bead and six medium beads) to the center of the five-petal flower. 9. 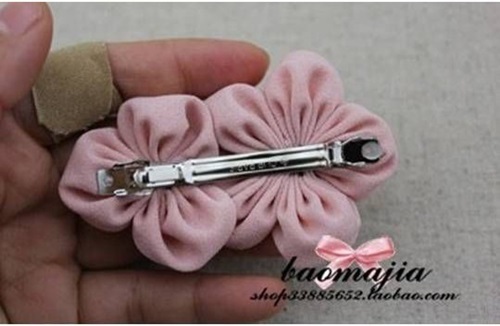 Glue a basic hair clip to the back of the fabric flowers. 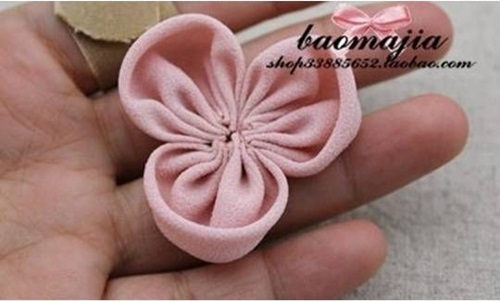 This pretty fabric flower hair clip is ready. Enjoy! 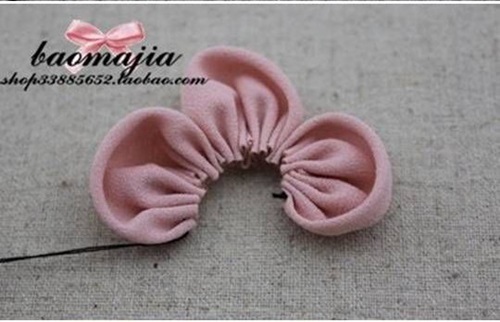 2 Responses to "DIY Beautiful Fabric Flower Hair Clip"
Je trouve les idées de votre site formidables. j’apprécierais des décorations de Noel.